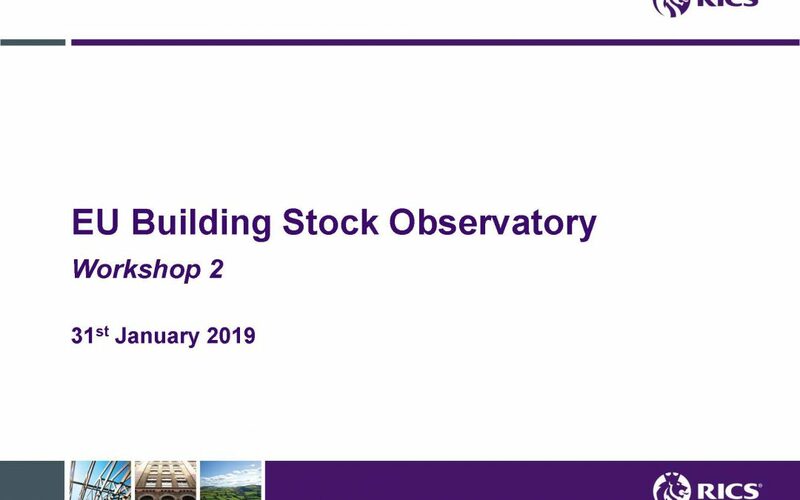 Invited by RICS Data Service group, the ALDREN consortium coordinators Dr Johann ZIRNGIBL and Dr Mathieu RIVALLAIN, with Dr Marta Maria SESANA, responsible for the ALDREN Building Passport Data Structure definition, joined the 2nd Building Stock Observatory Workshop in Brussels last31th January 2019. Full presentation here. RICS Data Services works with the European Commission’s Directorate General for Energy (DG ENER) to maintain and update the EU Building Stock Observatory (BSO). The purpose of the BSO is to provide a snap-shot of the energy performance in the EU building stock, by providing high-quality data from all Member states in a consistent and comparable way. ALDREN is supporting the EU BSO Non – Residential Building Survey and its implementation, being EU consistency and indicators coherence two of the main key-points on which ALDREN approach is founded. The Data Model of the ALDREN Building Renovation Passport (BRP) is based, in fact, on international standards, EVCS, BSO indicators, SRI and it is aligned with the updates introduced by the Directive 2018/844. The ALDREN approach has a data flow that covers the whole assessment chain for the energy performance assessment from building audit, through calculation, to the final steps of the roadmap within the BRP. Those points are the added value of the ALDREN procedure which leads to the well know and clear target, the EU – NZEB level, avoiding at the same time the lock-in effect.